Sister Kathy Curtis travel to Whitley County to talk with two local food heroes: Anne Bays and Paul Dengel. 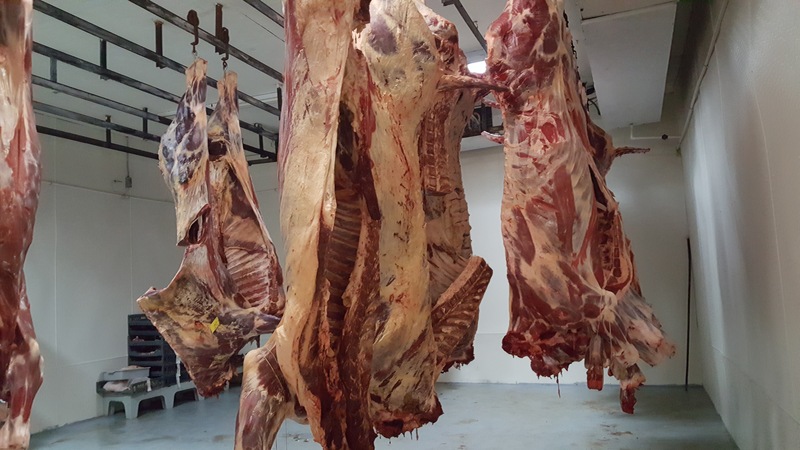 Anne, of Moonlight Farms LLC, raises grass fed beef and natural pork. 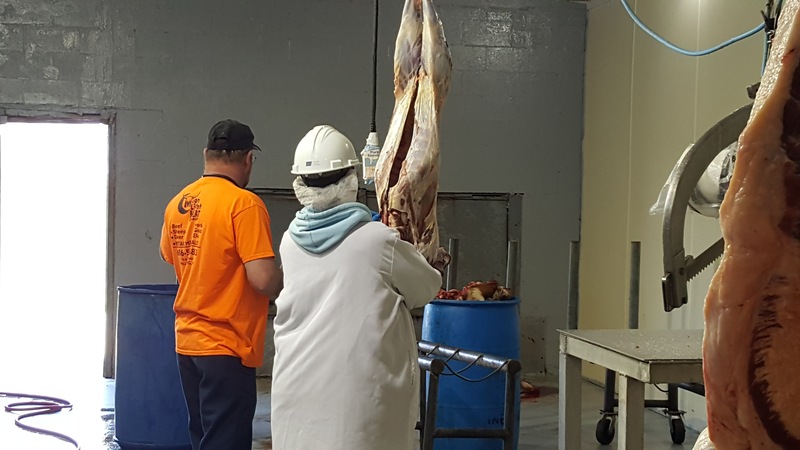 She and her family recently opened Moonlight Meat Processing which is a certified organic meat processing facility located in Williamsburg, Kentucky. Pictured below: USDA inspector on site. Paul, of Good Thymes Farm, recently left his job at Extension to be a full time farmer and stay at home dad. His family raises certified organic vegetables including heirloom tomatoes. He also specializes in sustainable agriculture. 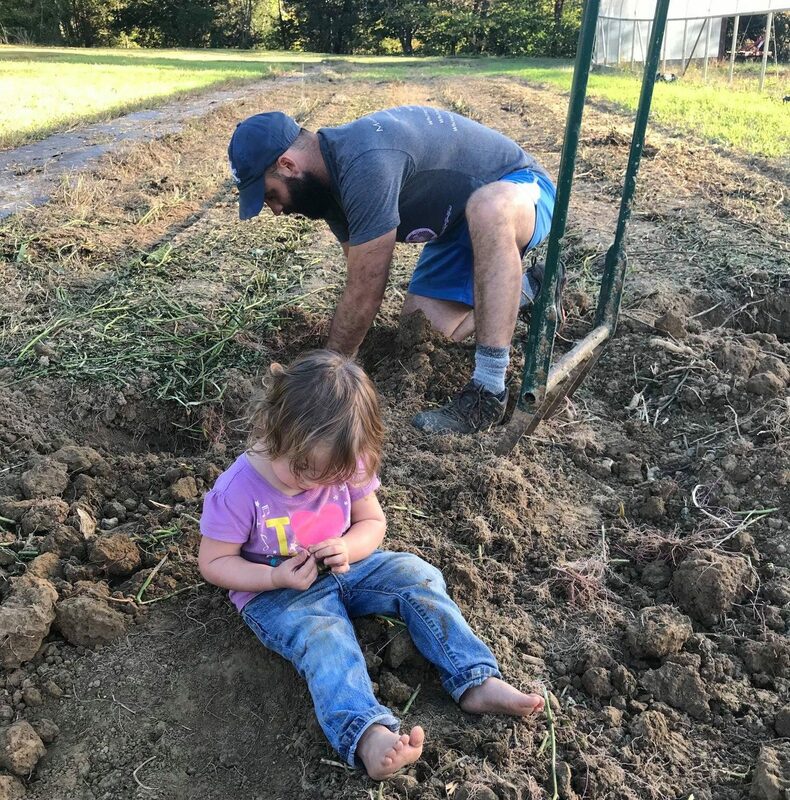 Pictured below: Paul and his daughter working in the garden. If you are looking for Anne and Paul, you can find them both at the Whitley County Farmers Market on Tuesday evenings in Downtown Corbin. The Breaking Beans Variety Radio Show airs on 88.7 WMMT (online too!) 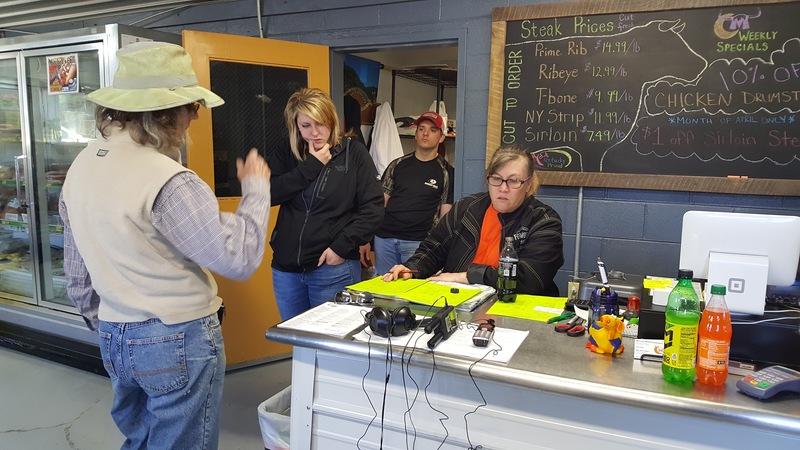 the first Wednesday of every month at 6pm featuring stories, interviews, recipes, and news from the food and farming worlds in the Appalachian region! Hosted by Breaking Beans Fellow Sister Kathy Curtis. 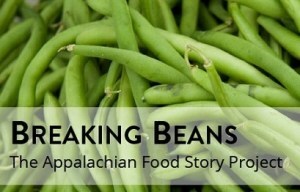 Breaking Beans: The Appalachian Food Story Project is an initiative of Community Farm Alliance to tell the story of how local food and farming in Eastern Kentucky can contribute to a bright future in the mountains. 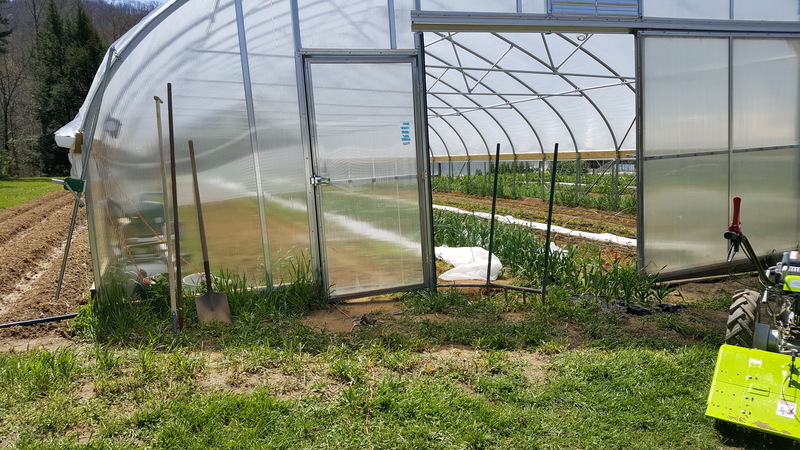 Eastern Kentucky is at the point where it can foster a food system that is equitable and accessible to all, provides fresh nutritious food, and serves as an economic generator that builds community wealth. 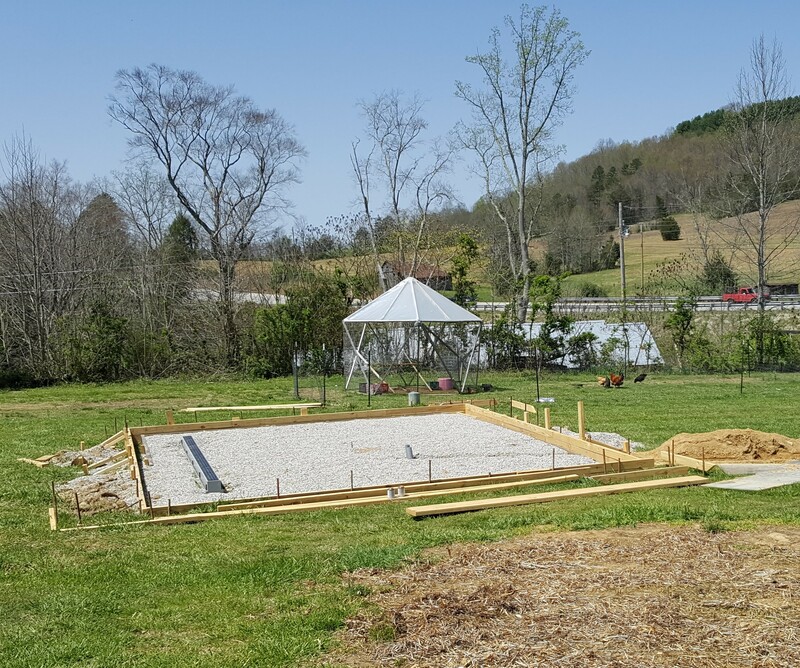 With a rich history of food and farming, stories of how Eastern Kentucky is already growing in that direction – and the challenges along the way – are important for informing people and policy alike.